The Kanektok flows one hundred dazzling clear-water miles from alpine headwaters to the estuary in the Kuskokwim Bay. 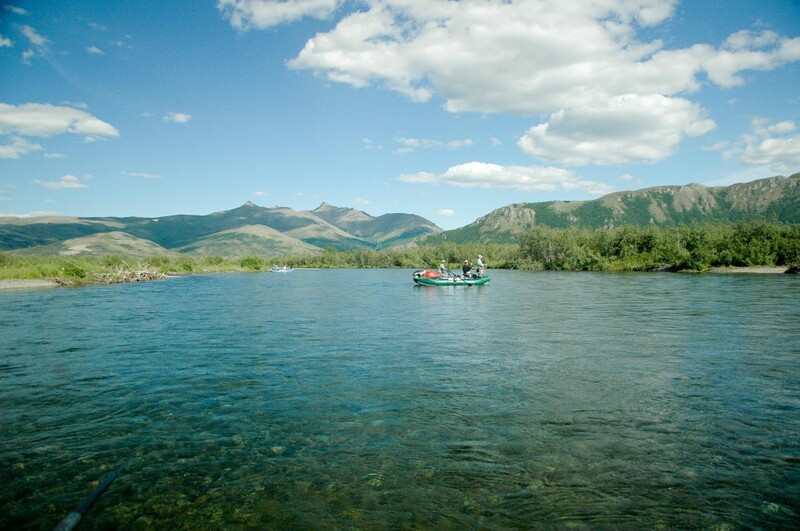 The river is appropriately world-renowned for it’s excellent fly-fishing, rafting, and camping qualities. The fishery is very, very strong, even by Alaskan standards. Sockeye spawn in the headwaters lake attended by Lake Trout, Dolly Varden, and Grayling. Grayling dominate the upper river and then as the channel becomes more complex the Kanektok hosts ever increasing numbers of very wild Leopard spotted Rainbow Trout. 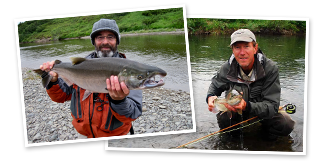 The Kanektok sea run Dolly Varden Char runs are spectacular in number and size. All 5 species of Pacific Salmon are taken as they migrate upriver. Our float trip ends at the Yupik Eskimo village of Quinhagak near the tidewater where we are picked up at the airport and returned to Dillingham.